Returning for a second impromptu, sea-side episode in Croatia, Mike Leago joins The Real Dirt once again to discuss the growing European hemp market. 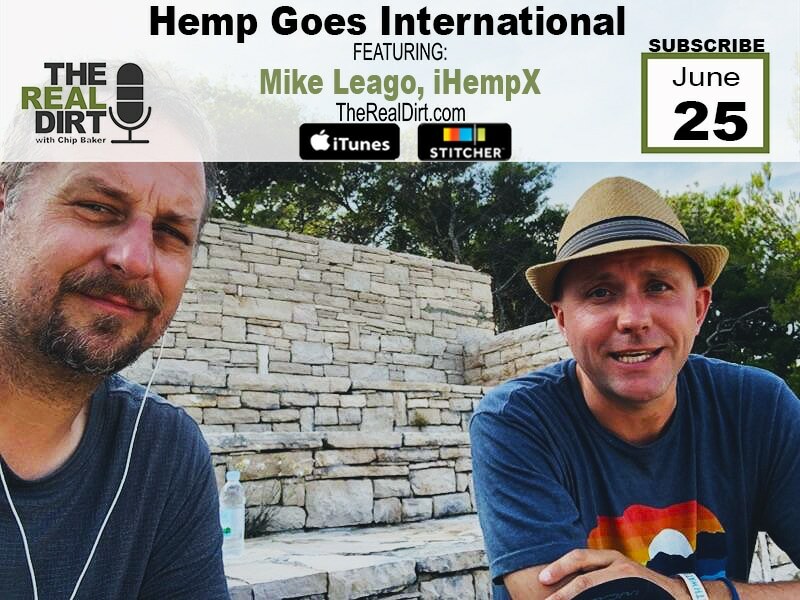 As a member of the International Hemp Exchange, Mike connects hemp farmers and producers with buyers all over the world. Whether its getting hemp seeds to the UK or finding a specific hemp product anywhere in the world. As the exchange grows, so does the reach of the hemp industry. The European hemp industry grew over 30% just in 2016 and is showing no signs of slowing down. Hemp has a much less negative stigma surrounding it, making European countries more likely to push legislation that moves the European hemp industry forward much more quickly than its psychotropic counterpart. In fact, in the European Union, it is legal to cultivate and supply cannabis plants for hemp fiber if they have low levels of THC. This is now starting to expand to other uses beside fibers, including CBD isolates and high CBD flower. Listen to this week’s episode of The Real Dirt with Chip Baker where Chip and Mike hang out in Croatia and talk about the booming European hemp industry and what the future holds.